10+ Blockchain Use Cases by Industry [2018 Edition] - Ignite Ltd. According to Forbes, blockchain is one of the top tech trends to watch in 2018. Blockchain use cases go far beyond cryptocurrency, and the technology is already transforming the way the financial industry does business. Everyone from large banks to niche startups are finding the surprising ways distributed ledger technologies (DLTs) can help them grow. Legal services, food production, and a slew of other industries stand to be disrupted and transformed by blockchain. Below, we’ll look at some of the more surprising ways this technology might be used, and some real-life applications that are already making waves. How blockchain will help protect democracy across the globe. Why every HR department should investigate distributed ledger technology. The incredible power of automated legal agreements. Why blockchain will make law enforcement safer and more effective. And its role in the credit reporting world, post-Equifax hack. The ways DLT can enhance every aspect of modern business. Leveraging blockchain to keep up with government regulation. How cloud storage will be transformed by this new technology. The case for entrusting our most precious data to blockchain. Voting is a hot-button issue this year, but they have long been prone to low participation and the threat of outright fraud. In the US, only about half of eligible voters typically make it to the polls. The primary reason is low confidence in voting systems. Many citizens feel that their vote will be lost or won’t contribute, and so don’t bother to show up. Even in years where pressing issues drive voter turnout, ballot-counting irregularities drive people away. Internationally, online voting has been used in dozens of countries to overcome the shortcomings of paper ballots. These systems carry their own problems and risks, both from fraud and technical issues. Security. The fundamental nature of blockchain technology makes it nearly impossible for fraudulent data to be entered into the system. Transparency. Votes or other data cannot be changed in a blockchain-based system, at least not without raising obvious red flags. Accessibility. 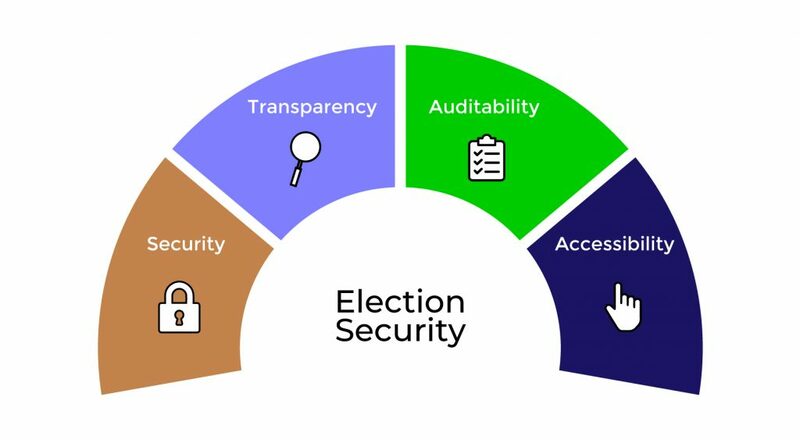 With this new level of security, elections could be safely conducted online, making them accessible to any citizen with a mobile device or computer. Auditability. Because every record, or vote, receives a date, timestamp, and hash of the previous block, auditing for errors or fraud becomes a fast and easily automatable process. Although it’s counterintuitive to those accustomed to paper ballots, bringing elections into the blockchain world is too good a prospect for governments to ignore. We can expect to see limited-scale implementation of blockchain voting systems within a year. Any HR manager can tell you that hiring is arduous, if not downright painful. Checking every item in a resume or CV is time-consuming and expensive. In fact, today’s pre-employment screening processes are typically unable to verify that a resume is accurate and complete. No matter how diligent the hiring manager, there always seems to be a decades-old credential that can’t be verified, or a previous employer who can’t be reached. Blockchain and other DLTs can help with this, just as they can with voting. If 2017 was the year of cloud-based employment screening services, then 2018 will be the year blockchain came into its own in the hiring space. It won’t be an instantaneous shift. Leveraging blockchain to verify employee qualifications will require a robust DLT ecosystem, with participation from every sector of society. Educational institutions, employers, credit bureaus, and even the courts will all need to work with the new system. The security inherent to the technology also means that employees can maintain control over their data. Unsealing their records for a prospective employer while keeping them away from prying eyes should be a quick and secure process. “Smart contracts”, essentially legal agreements with if/then conditions, are not a new idea. For example, a stop-loss order is a contract with a stock brokerage to automatically sell an investor’s stock if the price drops below an agreed-upon number. With DLT, smart contracts are no longer limited to specialty scenarios like stocks. 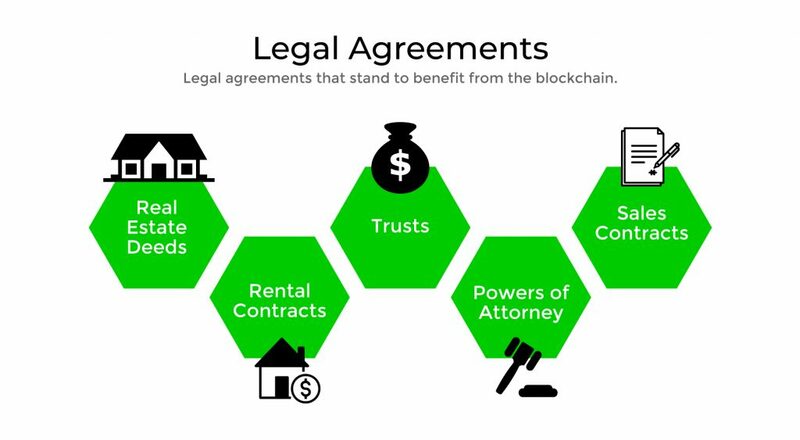 By leveraging new technology, a legal service or law firm can implement a variety of contracts as self-executing programs on a blockchain. The speed and security gains are phenomenal, and are already generating exciting new use cases around the globe. More than any other technology, blockchain holds the potential to completely transform how law enforcement stores, shares, and secures its data. Data is already central to how law enforcement is performed, from the municipal to the federal level. Every action taken by an officer or court creates data that must be safe and secure, yet easily accessible. 2018 will bring a sea change in how this data is managed. By using blockchain to move away from databases and onto distributed ledgers, agencies can make stellar leaps in efficiency, accuracy, and accessibility. DLT also makes sharing data safer and easier, across town or across the world. As 2017 showed us, the security of credit agencies is far from perfect. The Equifax breach exposed the personal information of millions of people. At least one company, though, is working hard to fill the gaps in our credit security. Naturally, DLT is key to the process. Bloom, billed as “inclusive, global credit”, leverages the Ethereum blockchain to create a decentralized credit database. By allowing users to verify personal information without exposing it, Bloom hopes to make credit reporting a fairer, safer, and easier process. The company is particularly targeting third-world countries, where breaches are even more common. And they’re not the only game in town. With blockchain emerging as the future of data security, legacy institutions like Equifax will need to modernize fast, or risk being left behind. Blockchain is effective on a smaller scale, too. The technology is perfect for serving the cross-organizational workflow management needs of individual organizations. Departments, teams, and employees can use blockchain to share information more easily and safely than ever before. This is a wide-open market, and innovators are already moving in to bring blockchain to bear on operational efficiency solutions. By adapting processes, procedures, and policies into smart contracts on a private blockchain, companies can streamline their operations and save time and money while increasing security. Look for a flood of blockchain-based solutions in the organizational data management space over the next few months. In any industry, compliance with government standards and regulations is a time-consuming, expensive affair. Certifications need to be checked and rechecked, updates to procedures need to be incorporated, and an increasing number of agencies need access to records. It’s a drain on resources, and one that has spawned its own pocket industry. A growing number of regtech solution providers, as they are known, are working to use blockchain and other technologies to make compliance faster, simpler, and cheaper. By loading regulatory compliance verification processes onto a blockchain, a company can provide regulators with an immutable, trustworthy record on demand, with complete audit capability built in. Blockchain is the natural next step in the evolution of secure cloud storage services. Several companies are already leveraging DLT for cloud storage that is fast, cheap, and secure. One of the early successes in the field is Storj. They’ve homed in on the privacy angle of blockchain-based cloud storage, showing how blockchain allows clients to maintain complete control over who sees their data. Not even Storj itself can view its users’ information without their consent. Along with near-perfect data security, blockchain-based cloud storage also allows providers to offer improved upload and download speeds, while lowering prices. It’s a win-win for everyone, and we expect to see blockchain cloud storage feature prominently in 2018. Although it might seem strange for blockchain to be seen in third-world countries, the truth is that the technology is perfectly suited for emerging markets. By enabling safe and inexpensive mobile payments, blockchain means that even struggling farmers can benefit from the modern digital economy. Blockchain is already being used in a number of emerging markets, from Kenya to India. The specific applications are as different as the nations themselves, but they have one thing in common: Blockchain empowers the underserved. The speed, security, and low cost of DLT means that anyone with a mobile device can participate in the global economy, even if a bank account is out of their reach. One area that can use all the efficiency improvements it can get is government administration. Anyone who has called for tax or military records can attest how slow the process can be. The sheer volume of sensitive data processed by governments across the world makes them a perfect use case for blockchain. State legislators in New York are already exploring potential applications of blockchain to make their records management more effective. Other states and municipalities are also heading down this road, both for public-facing and confidential records. This year is an exciting one for tech entrepreneurs and innovators. Rapidly expanding blockchain use cases represent an enormous opportunity for those who are prepared to seize it. But success isn’t guaranteed. Only those with a complete understanding of not just the uses for blockchain technology, but also mobile technology and regulatory requirements will be able to successfully penetrate these new markets. If blockchain is in your strategic plan for 2018, Ignite invites you to contact us for a confidential, no-cost review of your ideas and plans. We are proven experts in blockchain technology, mobile app development, and cloud technology. With six R&D labs across Europe and Israel, we are well-positioned to work with you wherever you may be. Our track record speaks for itself. We’re successfully completed over 150 projects since our founding in 2006.